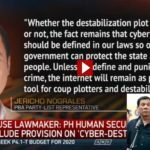 Can the President Declare Nationwide Martial Law during SONA? The second SONA of the President is almost here. His detractors fear that he might declare a nationwide martial law after the Congress approved his request to extend it in Mindanao until the end of the year. 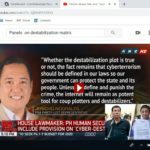 Du30 floats the idea of imposing Martial Law across the country to keep the law and order and thwart any further terroristic activity in his speeches. Can he do that during his State of the Nation Address? 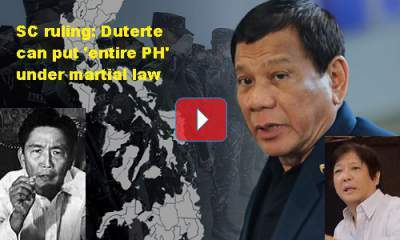 [VIDEO]: It is now up to President Rodrigo Duterte’s “wisdom and integrity” to put limits on the imposition of martial law in Mindanao after the Supreme Court upheld the legality of the May 23 declaration, a constitutionalist said Wednesday. “I may decide to expand the area to include the Visayas because it is just a walking distance actually. And because of the many islands, they can always escape there and begin another terroristic activity,” Duterte said this upon arrival from Russia. “I have ordered the military to embargo the islands. These are the ones at sea that separate Mindanao from the Visayas,” he said. The President also hinted that he would likely include Luzon to be under the Martial Law. “If ISIS also takes a foothold in Luzon, I might declare martial law nationwide to protect the people,” he said. 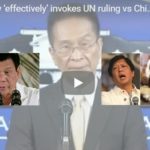 “The Constitution grants him the prerogative whether to put the entire Philippines under martial law. This can also be any part thereof. There is no constitutional edict that martial law should be confined only to the particular place the conflict transpired,” the Supreme Court said read by Associate Justice Mariano del Castillo. “Remember that this is not intended for the law-abiding citizens. We are the least of your worry. But if you confront government and my orders are one: to enforce the law. And anyone caught possessing a gun and confronting us with violence, my orders are shoot to kill,” the chief executive warned. 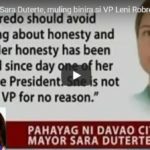 The President’s plan is supported by his chosen successor, Bongbong Marcos who is the son of the late President Ferdinand Marcos. He led the nation to prosperity under the martial rule but destroyed by his critics through black media propaganda. Martial Law declaration should be nationwide to lessen the movement of rebel to accumulate finances and other support logistics anywhere in the country.